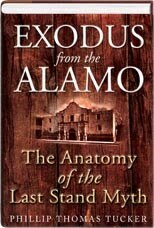 I just finished reading Exodus From The Alamo by Phillip Thomas Tucker. 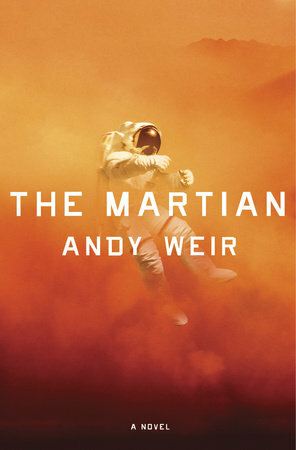 Mrs. T had dropped it off at our small local library and was asked what I thought of the book. This is not an everyday occurrence. My red flag alert immediately went up. Turns out this book has been quite controversial. I wasn’t surprised to find this out since the author basically attacks and vilifies the "story" or "myth" of the Alamo as it has been presented to generations of schoolchildren and movie goers. Think John Wayne and Fess Parker. According to Tucker, the whole thing was about the spread of slavery into the verdant land of another nation. The leadership of the Texas rebels was flawed from top to bottom. The people who were already living in Texas (both Anglo and Mexican)were divided about the nature and causes of the rebellion. Santa Anna was akin to Napoleon as a military genius. Huh? I had tended to agree with the authors basic thesis about the importance of slavery. Some of the details were new and interesting to me, since my basic knowledge of the documented facts about this event (particularly the fight itself and the deaths of Travis, Crockett & Bowie was limited. And some of the analysis was quite laughable.... Santa Anna another Napoleon? In any case, it was evident the author had several, not very well hidden, agendas. One was that an appraisal of this historical event could do much to improve mutual understanding between Anglo and Latino residents of the Lone Star State. Perhaps. The other was, by indirection, to bring to light the mind set of people like George W Bush. Thus the controversial nature of the book is brought to focus. In the end the brouhaha is about politics. This is not helped by the fact that the book is very poorly written. It needed some serious editing and didn’t get it. There are pages and pages of redundancy and much hectoring. The author must assume his audience are all idiots. For this reason alone, I would not recommend buying this book. I would recommend obtaining it at your local library because it is interesting, that is if your interested in historical mythology. Then when you get annoyed with the poor writing, you won’t be tempted to burn it. As to the politics, well, if this is where George W Bush and "bring em on" (especially in regard to his failed war policies in the Middle East) came from, I wish the myths of the Alamo had been debunked a long time ago. Imagine, if you will, Dwight D. Eisenhower or Abraham Lincoln saying something like that with thousands of dead and maimed soldiers lying on the battlefield.